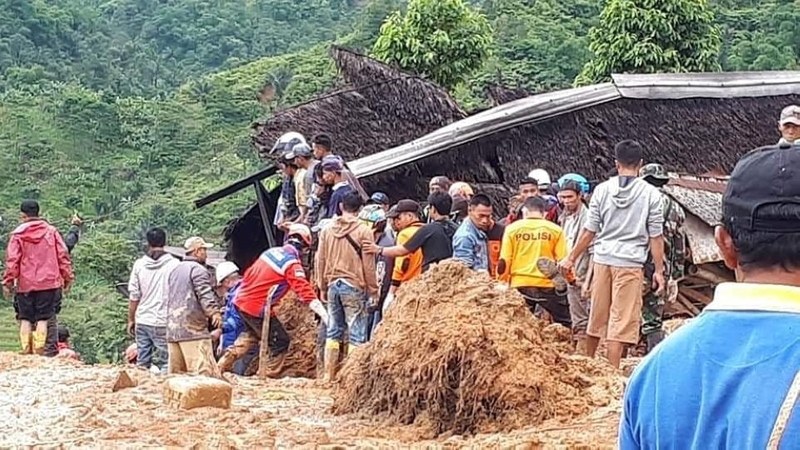 Soldiers, police and residents fanned out across a damaged Indonesian village Tuesday, searching in the mud for possible victims of a landslide caused by torrential rain that killed at least nine people and left 34 others missing. Tons of mud that rolled from the surrounding hills late Monday buried 30 houses in Sirnaresmi village of West Java's Sukabumi district. 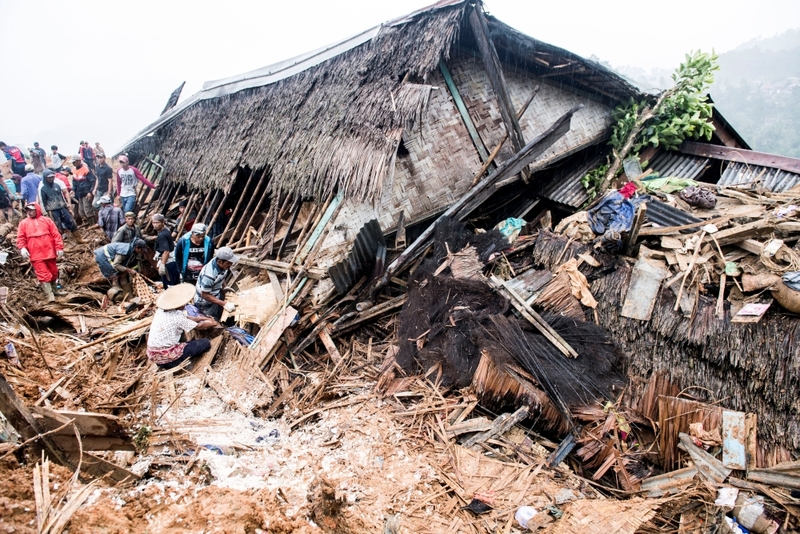 Sixty people who were displaced have fled to a temporary shelter, said Sutopo Purwo Nugroho, the National Disaster Mitigation Agency spokesman. He said more than 500 rescuers have retrieved eight bodies from mounds of mud and pulled out four injured people, including an infant who died in the hospital. They are still searching for 34 villagers said to still be missing. Authorities struggled to get tractors and other heavy equipment over washed-out roads as heavy rain was hampering search efforts, Nugroho said. Television footage showed hundreds of police, soldiers and residents digging through debris with their hands, shovels and hoes. 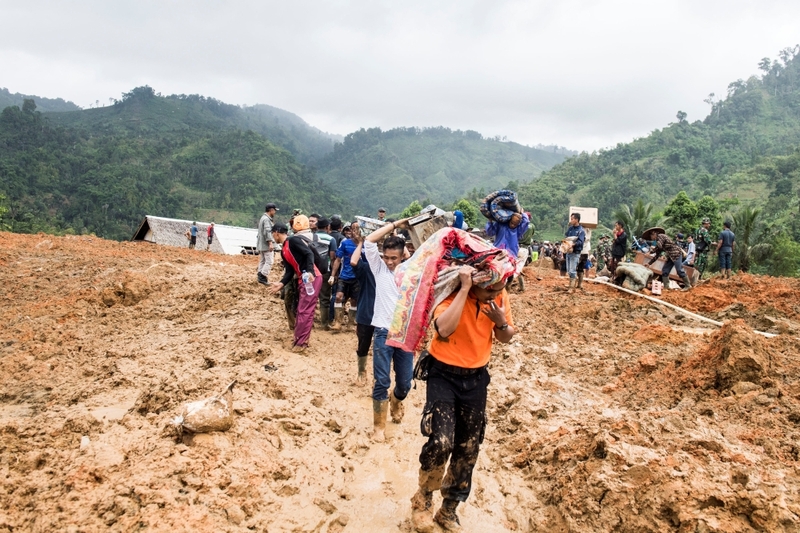 "Lack of equipment, bad weather and blackout hampered our rescue efforts for those who are still missing and feared dead," said Nugroho. Seasonal rains and high tides in recent days have caused dozens of landslides and widespread flooding across much of Indonesia, a chain of 17,000 islands where millions of people live in mountainous areas or near fertile flood plains near rivers. The landslide occurred during New Year's Eve celebrations less than two weeks after a deadly volcano and tsunami disaster. On Dec. 22, the Anak Krakatau volcano in the Sunda Strait erupted and partially collapsed into the sea, causing a tsunami that killed 437 people on Java and Sumatra islands. At least 16 people still missing and more than 33,700 residents were displaced. 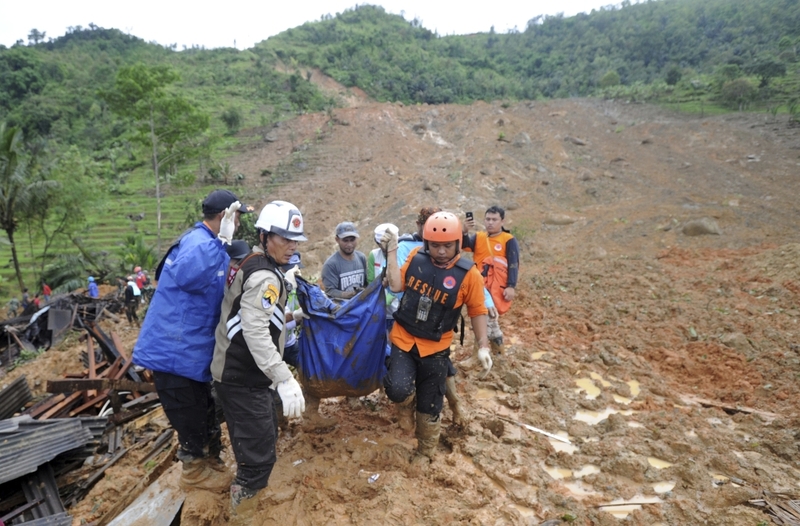 Rescuers are searching for survivors after a landslide triggered by heavy rain left at least five people dead and dozens missing in western Indonesia, an official said Tuesday. The landslide occurred shortly before sunset on Monday in West Java province. Search and rescue teams have found five people dead and are scouring the area for at least 38 missing people according to the national disaster agency. Three people have been injured in the disaster and 61 others evacuated from the area, Nugroho said.